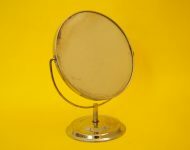 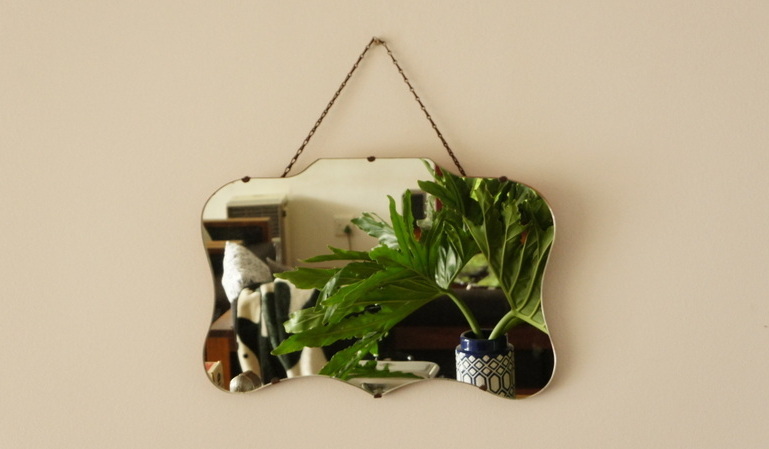 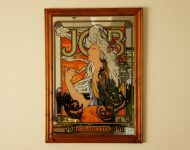 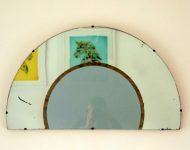 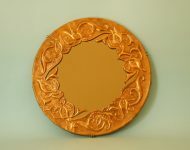 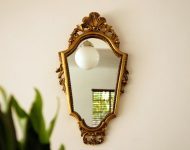 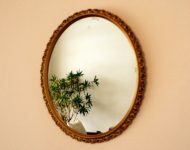 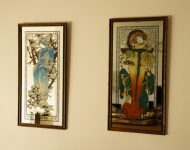 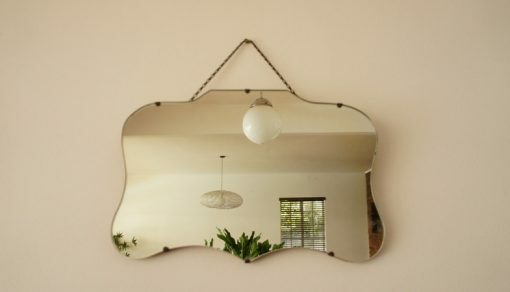 It may not be that big, but I love the shape of this art deco mirror – it’s just so pretty! 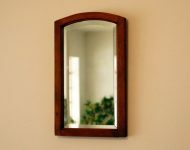 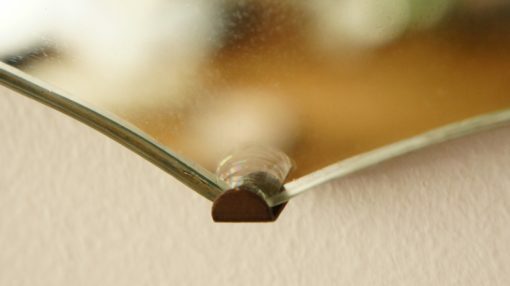 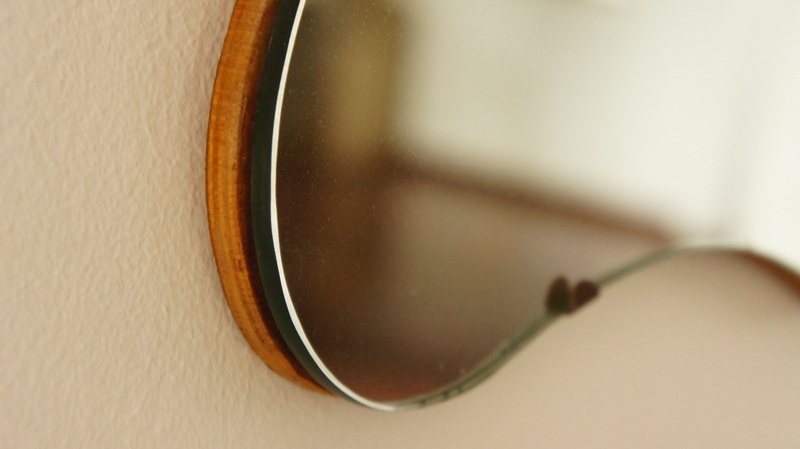 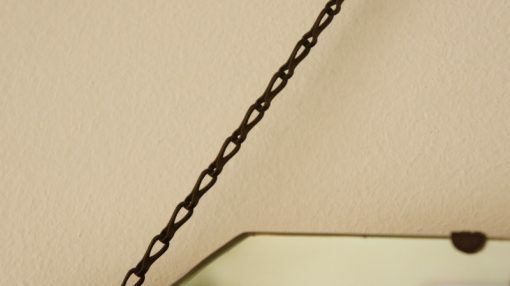 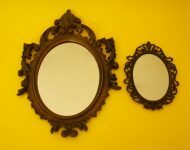 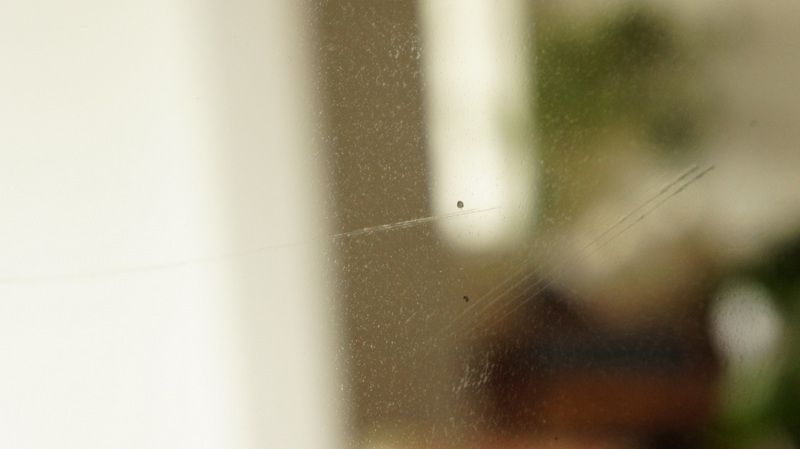 Also, aside from two scratches (which sadly are quite prominent) the mirror’s in much better nick than you normally see, with its wooden backing nice and clean, and its original chain – I quite like seeing the chain with these old mirrors – they almost become a feature of the mirror. 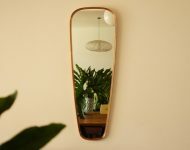 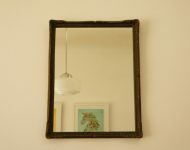 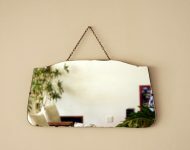 A simple, but very attractive mirror that would look great hanging anywhere!